Warning: There are spoilers ahead for Dark Phoenix! It’s a dramatic time in the X-Men movie universe, and no one is safe. In the Dark Phoenix trailer that debuted earlier this year, one of the major characters seems to bite the dust. But according to director Simon Kinberg, there’s a good reason behind that. You can watch the trailer below, but here’s a quick recap. Mystique (Jennifer Lawrence) confronts Jean Grey (Sophie Turner) as she tries to keep hold of her newfound powers. But she gets a little too close for comfort, and, as a result, goes flying off-screen. This apparently results in her death, thanks to other scenes in the trailer. Grey cries to herself and says, “Why would you make me do that?” Meanwhile, other characters attend a funeral, which is probably Mystique’s. 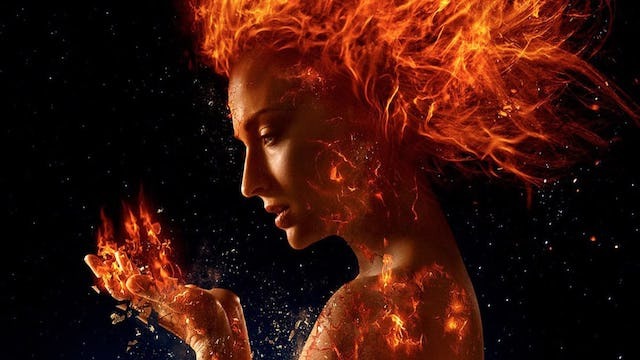 While speaking with Comic Book Resources, Kinberg explained that he didn’t want to hold back when it came to Dark Phoenix’s unapologetic tone. “We wanted people to know that this, again, was a movie where, if Dark Phoenix lost control, it wasn’t just the kind of thing where at the end of the movie all the pieces would be put back together the way it often happens in X-Men and really a lot of comic book movies,” added Kinberg. If this is the final Fox X-Men movie, which it probably is, Kinberg wanted to give its narrative some dramatic weight. “We wanted people to know beyond just the Raven/Mystique of it all that it is a movie where everybody is at risk. Because of this thing that has happened to Jean, and Jean most especially is at risk,” said Kinberg. Dark Phoenix opens on June 7. Who do you think will bite the dust in the forthcoming movie? Let us know in the comments below!